Fourth and Fourteenth: I Write the Words . . .
Perhaps the issue turns on whether the "blog" is what I would call a "real" blog versus a "website marketing" blog. 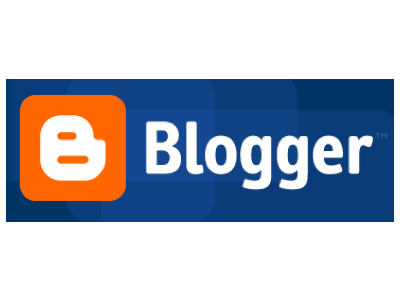 How one views his/her blog depends on why they created it and what they are using it for. The former is what this blog, however amateur, is meant to be; a place where I talk about cases or issues that have something to do with civil rights or criminal defense litigation. Sure, I'm a partner in a law firm that focuses in these areas, but I don't write much at all about our firm, tout our services, or troll for business. No, this is not an ad for my firm, it's supposed to be a forum for discussing related issues with people who have thoughts or questions. The latter is nothing more than an extension of a firm's website. It's a way of adding content, creating the impression that the firm stays current with the law, and ginning up the site for SEO purposes. By the way, you can do both. I do. Our firm site has a News section where we talk about stuff concerning our firm, our achievements, and things directly related to our practice. But there's a fundamental difference between a firm's website and a lawyer's blog (unless you're a solo, in which case the line is definitely blurrier). O'Keefe notes the argument made by some that attorneys routinely hire others to draft for them. He's right, of course, lawyers hire other lawyers to write motion papers, appellate briefs, etc., and use copywriters to create content for the website. So what's the big deal about blog posts? I get O'Keefe's point that posting something as yours in this setting could constitute false adverstising. But I don't think it's a great argument, providing the lawyer can say that he read and adopted the post. In that case, it's really not much different from a declaration drafted by an attorney for a witness. Even where the attorney never reads his own stuff (like when Charles Barkley claimed he was misquoted in his autobiography), the posts can be presented as something written on behalf of the attorney or the firm, rather than by the lawyer himself. Frankly, I think blogging as an SEO tool is a bit overrated, and it's really not for everyone. Yes, blogging helps with your "credibility marketing," and a social media presence is useful as well. Absolutely. It's also hard to find time to do and doesn't have an immediate pay off. If you're expecting to start a blog on Monday, publish a post or two, and have your phone start ringing with potential clients on Friday, you are in for some serious disappointment. But for me, the purpose of blogging is to communicate with people about issues that are of interest to me, to express thoughts and opinions that are mine, not my firm's, not my partner's. The idea of hiring somebody else to think up my personal thoughts seems ludicrous. So no, I would disagree that paying somebody else to blog for you is unethical, although I would strongly suggest that you review the blog for content before you adopt it as your own. But it says little for the value of the content or the author when a blog post is nothing more than generic ad copy generated by a faceless/nameless corporation for scads of firms. Put differently, if your blog is meant to speak for you, to be your forum through which you present yourself, your views, and your expertise, then it seems rather obvious that you ought to write it yourself.